First of all I have to say pasture raised pork, free from unnecessary antibiotics and added hormones is awesome! This is not the pork you buy in the grocery store. 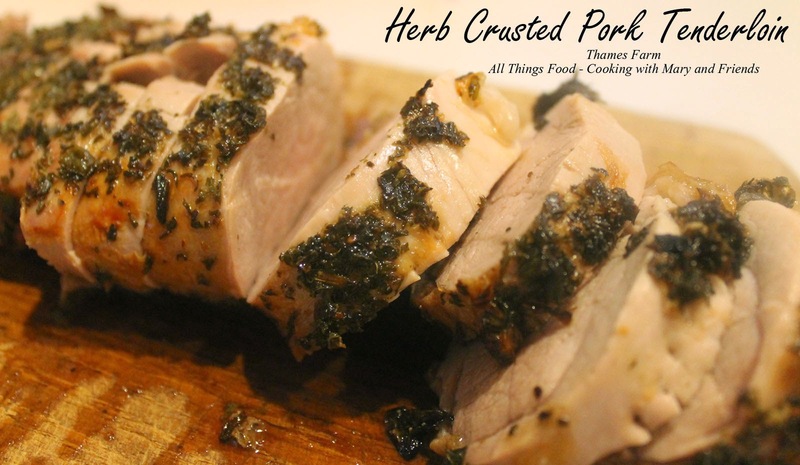 This pork is tender, moist and juicy ... every single time, not dried out, flavorless and tough. In fact, I have yet to buy any pastured pork product that was anything short of delicious. I recently had the privilege of touring Thames Farm, meeting Amy Thames and her sidekick, Melvin the Turkey ... and what a "ham" he is! This is what Amy had to tell us, "Thames Farm is dedicated to raising healthy all-natural pastured Berkshire pork, pastured chicken and lamb. All our animals are raised on a natural diet and are never given antibiotics, steroids or any growth hormones. Our pastures are maintained chemical free. Our pigs are allowed to be pigs. They are happy and have social interaction with each other. We finish our pigs for processing on the pasture. Our pigs are supplemented with grains, vegetables, and raw Jersey cow milk. They graze and bask in the sunshine." Read all about our farm visit here. I guess it's no wonder then their pork products are so darn good. Not to leave out their chicken, because that was very good too, but this post is all about the pork (see Italian Seasoned Grilled Chicken here). 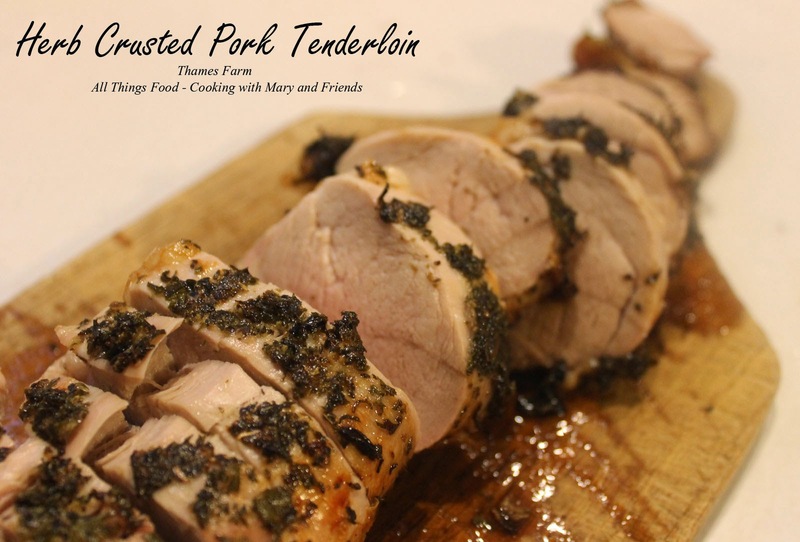 Coat pork tenderloin thoroughly with herbs and seasonings; pat with fingers to adhere to tenderloin. Grill on medium-high heat 10 minutes per side or until cooked to an internal temperature of 145 (See safe cooking temperatures here). Remove from heat and let stand 5-10 minutes before slicing. Serve with your choice of side dishes.